Yi Ke IKEA Boutique Hotel (Dalian Xinghai Park Seaview shop) is located in Zhongshan Road, Shahekou District, No. 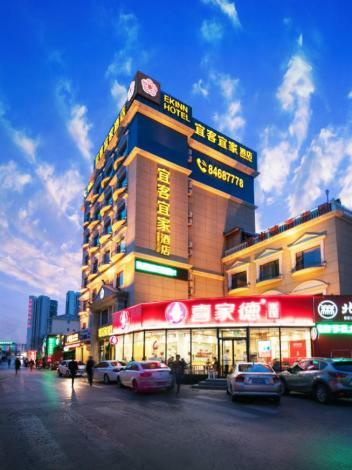 603, near Xinghai Park, Sun Asia Ocean World, near Xinghai Square, the Second Affiliated Hospital of Dalian Medical University, Northeast University of Finance and economics; around catering, entertainment facilities rich, the transportation is convenient. Yi Ke IKEA Boutique Hotel (Dalian Xinghai Park Seaview shop) is a fashion boutique Seaview Hotel, each room, each kind of decoration, a fresh flavor. The room are equipped with LETV TV, intelligent toilet, 24 hours hot water, separate shower, free toiletries, wireless WiFi etc..Yi Ke IKEA Boutique Hotel (Dalian Xinghai Park Seaview shop) allows you to experience the star hotel comfortable and intimate, and can feel the boutique hotel's unique personality service, is you go out in another home.